All of the 6th class pupils entered a competition for ‘Best Short Scene Script’ in the Bord Gáis Student Theatre Awards this year. 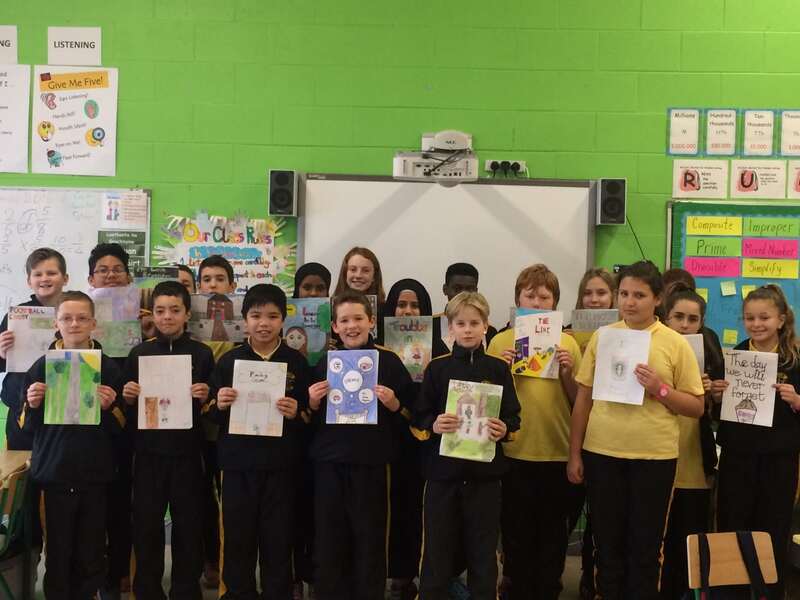 Ms. Carry’s 6th class were very excited when they found out that Emmanuel Gyamfi from Seomra Rós was short-listed for this special award for his script ‘Air Raid’. This is a huge honour as the competition had over 3000 entries and we are very proud of Emmanuel. The whole class has been invited to the Bord Gáis Theatre next Thursday 5th May for an ‘Oscar like’ awards ceremony. We would like to thank Mrs. O’ Connor who told us about the competition and she will also be joining us on our trip to the theatre next week. We are very excited and can’t wait to go to support Emmanuel and his family on this very special occasion. Best of luck Emmanuel!